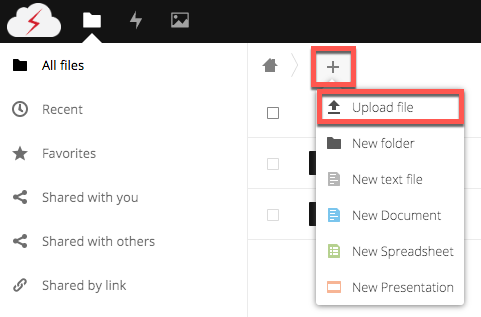 To upload a file into your SafeBolt Cloud, first select the "Files" icon in the menu bar. Then click on the "+" button above your list of files, and click "Upload file" from the dropdown menu. Select the file you would like to upload from your device, and click "Open." Below are some additional helpful links.